Winding Cypress is an active lifestyle community in Naples, Florida. Set amid 800 acres of natural preserves and 80 scenic lakes, homeowners in Winding Cypress will enjoy beautiful views in an amenity-rich setting. Residents will have a luxurious clubhouse, low-maintenance homes, and easy access to major highways and attractions. Winding Cypress has plans for a world-class clubhouse set to open in 2015. The clubhouse will have plenty of space for social gatherings so neighbors can interact with each other and build community bonds. The amenities will include a state-of-the-art fitness center, catering kitchen, community room, and activity room. Tentative outdoor amenities are sure to please buyers with an active lifestyle. Homeowners will have access to a resort-style pool, lap pool, spa, outdoor movement studio, outdoor barefoot bar, bocce ball courts, tennis courts, a fire pit, dog park, boardwalk with pavilion, and bird watching overlook. DiVosta began construction in Winding Cypress in 2014 and plans to have 774 residences upon completion. These homes will include elegant single-family and attached homes that offer one-story living with a few models offering optional second floors. All homes feature covered lanais, granite countertops, tile flooring, wood kitchen cabinets, gourmet kitchens, decorative fixtures, walk-in closets, and spacious master suites. The Serenity model is an attached home that offers 1,542 square feet of living space, which is perfect for the downsizing homebuyer. It has two bedrooms, two bathrooms, a flex room, and an attached two-car garage. Homebuyers can choose from six single-family floor plans. They offer 1,659 to 2,589 square feet of living space with two or three bedrooms, two or three bathrooms, and an attached two to three-car garage. As the community continues to grow, homeowners will have a variety of clubs, activities, and events to keep them busy throughout the year. An activities director will be on hand to assist residents in planning social functions in Winding Cypress. Another great reason to live in Winding Cypress is the maintenance-free lifestyle. Residents can leave the lawn mowing and exterior home chores to the homeowners association (HOA). The HOA allows residents to have more free time so they can enjoy their activities at the clubhouse or create a fun club with other neighbors. Naples, known as the crown jewel of Southwest Florida, offers residents plenty of recreational attractions and easy access to major highways. Interstate 75 and U.S. Highway 41 are less than ten minutes away. Residents can take a 15-minute drive to well-known Fifth Avenue South for shopping, dining, and entertainment options. The Esplanade Shoppes of Marco Island is also a great nearby shopping destination. For fun in the sun and sand, homeowners can visit the beautiful Naples Pier and beaches that are only 20 minutes away. Whatever your preference, Winding Cypress in Naples has everything to satisfy your active lifestyle. Check back soon for more information on the lifestyle in Winding Cypress. The Serenity model is an attached home that offers 1,542 square feet of living space. It has two bedrooms, two bathrooms, and an attached two-car garage. This home features granite countertops, wood kitchen cabinets, tile flooring, spacious master suites, walk-in closets, screened lanai and decorative fixtures. Homebuyers can choose from six single-family floor plans. They offer 1,659 to 2,589 square feet of living space with two or three bedrooms, two or three bathrooms, and an attached two to three-car garage. Single-family homes feature optional second floors, open floor plans, granite countertops, tile flooring, spacious master suites, private lanai, and plenty of closet space. Buyer beware. 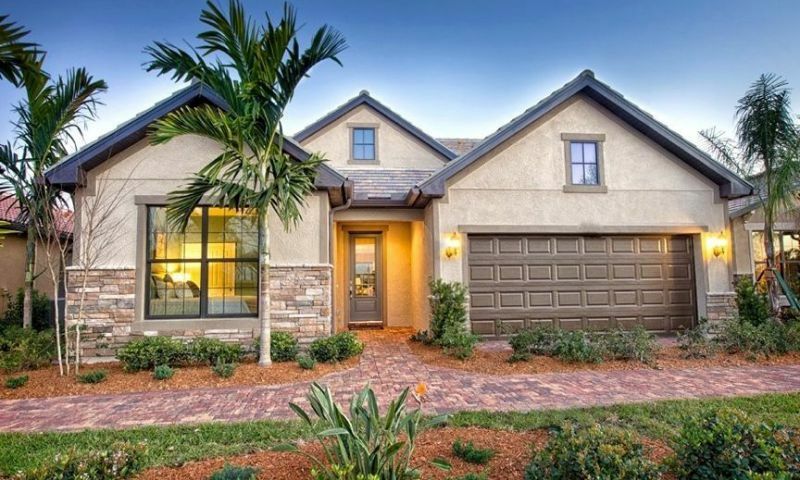 Divosta sold out to Pulte builders. We lived in Village Walk a "Divosta" development. By the time our home was completed they had sold to Pulte. Pulte is a much lower line builder by reputation and quality. We got burned. When selling a few years later, our home was not worth near what we expected under the Divosta name. The same could happen to you. Beware! 55places.com is not affiliated with the developer(s) or homeowners association of Winding Cypress. The information you submit is distributed to a 55places.com Partner Agent, who is a licensed real estate agent. The information regarding Winding Cypress has not been verified or approved by the developer or homeowners association. Please verify all information prior to purchasing. 55places.com is not responsible for any errors regarding the information displayed on this website.